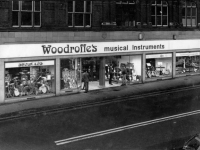 Musical Instrumet shop firstly on John Bright Street then moved to Dale End (thanks Dave Harte). 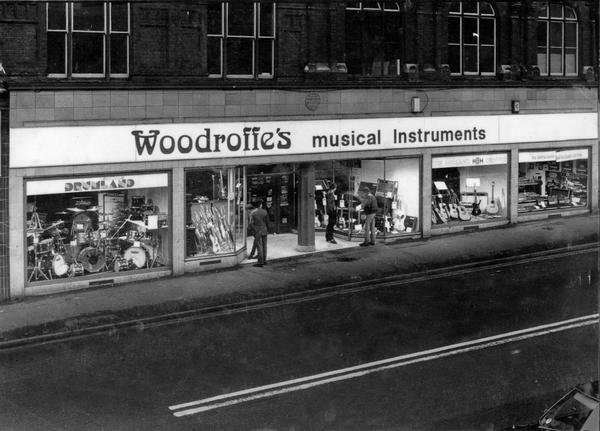 I always remember coming in to town on a Saturday as a kid and going ot look through the window of this store. There used to be a huge analogue mixing desk in the window with a price tag on it that said. Will swap for a house…. 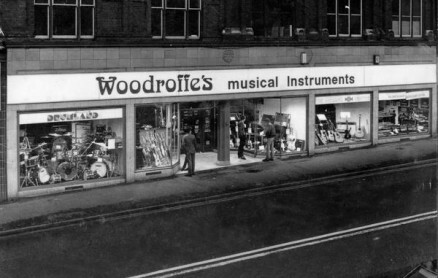 As a kid me and my mates would catch the bus from Kingsnorton into the city centre just to walk around the town to the music shops to play the guitars.Woodroffes(John Bright Street was my favourite.Down in the basement were the cheaper guitars -Watkins Rapiers,Burns,Hofners,Futuramas,Kays etc.On the ground floor individually placed in glass cases were Fenders,Gibsons,Gretch they looked magnificent needless to say you couldn’t just pick one up and play it.as a kid you could only dream.